The Joint Admission and Matriculation Board says Galadima Zakari from Biu, Borno State, is the candidate with the highest score in the 2018 Unified Tertiary Matriculation Examination (UTME). Galadima Zakari sat for the examination in Ogun State and scored 364, the agency said. It stated that Ape Moses from Benue State, who scored 354, had the highest score from Benue State and the entire North-central Nigeria. A newspaper earlier reported that Ape Moses was the highest scoring candidate nationwide. 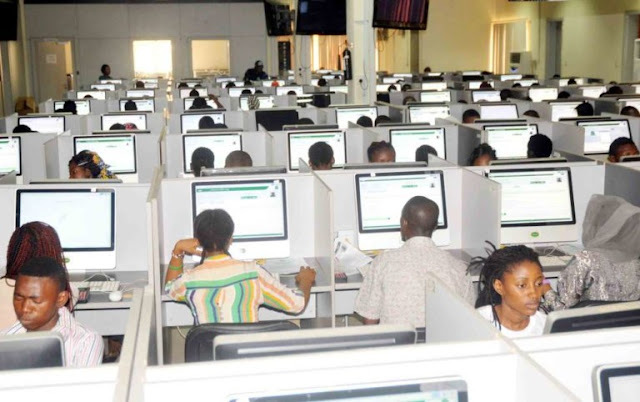 Mr Fabian said the top five candidates in the 2018 UTME exercise are; Galadima Zakari with 364, Adekunle Jesufemi from Ogun State who sat for his examination in Abeokuta with 358, Alikah Oseghale from Edo State who sat for the examination in Ekpoma and scored 357, and Ademola Adetola from Ogun State who sat for the examination in Lagos and scored 355. Akinyemi Paul from Ogun State who wrote his examination in Lagos, Ape Moses from Benue State, who wrote the examination in Makurdi and Obi-Obuoha Abiamamela from River State who wrote the examination in Port Harcourt all came fifth with a tie score of 354. Mr Benjamin said it is important for interested individuals and organisations who want to use its data for research, reportage and other national necessary disposition to always contact it for accurate and up to date information. “Our doors are always open to any request especially when the nation would be the ultimate beneficiary.The Board appeals to all interested individuals and organisations who want to use its data for research, reportage and other national necessary disposition to always contact it for accurate and up to date information so as not to misdirect the public into taking wrong and misleading conclusions,” he said.